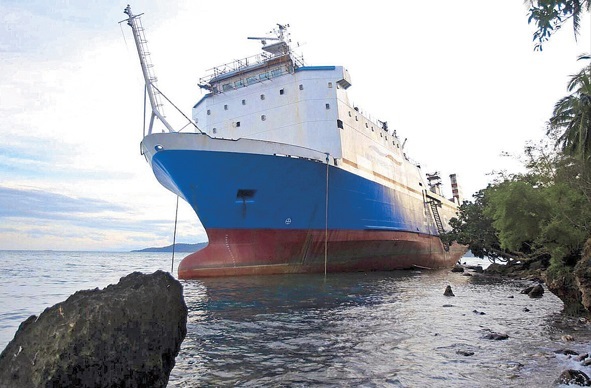 The ferry Super Shuttle Roro 5 ran aground at Mabini coast in Batangas province, Philippines. The vessel with 25 passengers and crew was pushed ashore by the typhoon Nock-Ten (Nina). The ferry lost propulsion power during the storm and was drifted in the waters off Mabini San Miguel, before running aground with danger from capsizing. The crew reported the accident to the local authorities and Coast Guard. At the scene were deployed rescue boats Pampanga and MCS 3001, which evacuated all the passengers and evaluated the condition of the vessel. The ferry remained stuck at the shallows and will need of underwater inspected before towed to safe depth. Fortunately all the passengers were transferred to the shore in good health and without reported injuries. The area around the grounded ferry Super Shuttle Roro 5 is under monitoring by the local authorities. 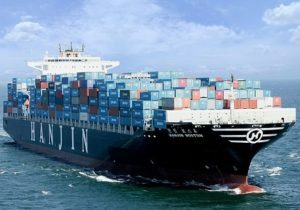 The ship suffered breaches and water ingress, but there is no report about oil leaks and water pollution. The ferry Super Shuttle Roro 5 (IMO: 7822500) has overall length of 111.00 m, moulded beam of 18.00 m and maximum draft of 5.00 m. The deadweight of the ship is 2,900 DWT and the gross tonnage is 6,105 DWT. The vessel was built in 1980 by Neue Schlichting Werft in Lubeck, Germany. The ferry Super Shuttle Roro 5 is owned and operated by the local company Asian Marine Transport.